Take 2-4 tablets daily, or as directed. Be jau gerai žinomų vaidmens vitaminų, mineralų pakankamas tiekimas mūsų organizme yra svarbus taip pat. Power Mins yra speciali formulė, pagamintas iš specialių mineralų. Jo ingredientai prisidėti prie tinkamo mineralinio tiekimo mūsų organizme. Besides the already well known role of vitamins, the adequate mineral supply of our body is important as well. Power Mins is a special formula made from special minerals. Its ingredients contribute to the proper mineral supply of our body. Trace minerals are critical for numerous metabolic functions and, as such, are absolutely essential for good health. Some compounds our metabolism needs can be synthesized in the body, but minerals are not among these. All the minerals our bodies need and use must come from our diet. Power Mins is a special complex of all of the most important minerals in carefully formulated ratios to provide optimum nutritional support for good health. Calcium is important to maintain the healthy structure of bones and teeth, and plays a role in the process of blood coagulation. 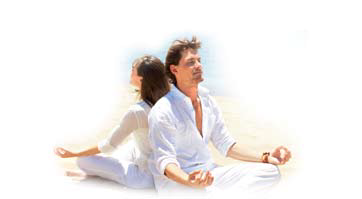 The effective functioning of the nervous system requires the presence ofmagnesium. Magnesium also supports protein synthesis and normal cell division. Potassium helps support normal blood pressure, and plays a role in homeostasis by promoting the osmotic balance between intracellular and extracellular bodily fluids. Zinc is indispensable for the proper functioning of the immune, digestive and reproductive systems. Manganese helps support the body’s protection system against free radicals, and is a necessary element in protein, carbohydrate and fat metabolism. Iron plays a vital role in the oxygen transport system of blood, and supports proper cell growth and differentiation. Iron metabolism is supported by copper,which also helps the energy production processes of the body by participating in cholesterol and sugar metabolism. Copper also supports the healthy functioning of the central nervous system. Iodine is indispensable for production of thyroid gland hormones.Selenium is an important antioxidant, and helps support the immune system. Chromium participates in proper carbohydrate metabolism. Molybdenum is important for the formation of several enzymes, and also plays a role in the utilization of iron. Consult with a qualified medical practioner before taking any supplement. 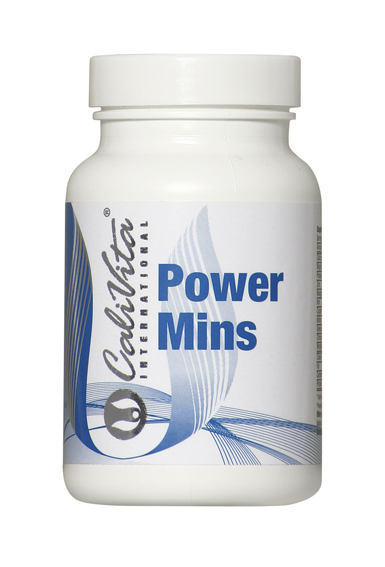 Power Mins has been a popular formula of the Calivita® product range since its launch. It is no wonder, as the composition of our excellent quality product offers an ideal everyday mineral supplementation. It is well known that vitamins, amino acids, antioxidants, probiotics maintaining healthy intestinal flora, and all the other essential building blocks, are indispensable for the normal functioning of the body. Minerals, similarly to vitamins, are such essential components of our body, and just like with vitamins, our demands should be covered from external sources. Of the 99.5% of calcium that is absorbed and gets stored in bones and teeth, the remaining amount will be a vital component of blood plasma. It participates in blood clotting processes, in muscle contraction,not only of skeleton muscles but respiratory muscles or myocardium as well,while 1000 mg of them is replaced on a daily basis. That is why its supplementation is of paramount importance, as our bones function as storehouses, which can be “extended” at most till the age of 30, then following a stable state , they start to decline. So sufficient everyday calcium supplementation is not only important for the normal functioning of our metabolism but for the protection of our bones as well. Recently its role played in acquiring normal body mass index has been researched.Some clinical studies show that calcium effectively supports slimming diets. For many, it is a part of the medicine cabinet as it may be helpful in alleviating unpleasant symptoms during an allergy season. Magnesium, just like calcium, plays a manifold role in the body. It is the building block of hundreds of enzymes, participates in energy producing processes as well as in protein synthesis.Additionally, it contributes to the healthy functioning of the cardiovascular system and muscles. In its deficiency, muscle spasms, and characteristic nighttime calf cramps may occur. Zinc is an important antioxidant element, the presence of which is indispensable in the battle against free radicals. It also participates in the functioning of the immune system by stimulating the development of immune cells. Iron is essential for blood formation and oxygen transport. In the case of chronic deficiency, dysfunctional red blood cells are produced and the oxygen supply of tissues may become insufficient and a classic iron-deficient anemia may develop. According to an earlier estimate of the WHO, it involves at least 10-20% of children, elderly people and mainly women around the world. Iodine is perhaps one of the most well-known minerals, as it is common knowledge that it plays an essential role in the functioning of the thyroid gland. However, only a few people know that some parts of Europe are characterized by at least a minimal iodine deficiency. Consequently, proper iodine intake should be carefully monitored as the functioning of the thyroid gland affects carbohydrate, fat and protein metabolism as well. It is lesser known that selenium also plays an important role in the normal production of thyroid hormones which in addition supports the immune system. Due to its role played in metabolism, chromium is a frequent component of formulas supporting body mass reduction, as it affects carbohydrate metabolism,and through them also protein and fat metabolism. In some studies it has been suggested it may alleviate carbohydrate cravings as well. 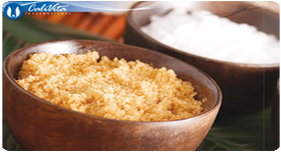 Manganese also plays a manifold role in the human body as the above- mentioned minerals. It participates in energy production processes, protein, fat and carbohydrate metabolism, maintaining the healthy structure of bones and by being an effective antioxidant it also supports the protection of cells. It is clear that these almost incomprehensively tiny elements participate in many processes and therefore, their daily supplementation is extremely important. Even in summer, through increased perspiration we lose significant amounts of minerals, which should be complemented for the sake of the normal functioning of our body. Did you know that minerals have a significant role in the acid-base balance of the body and for alkalization, if needed? A double-blind, placebo-controlled, exploratory trial of chromium picolinate in atypical depression: effect on carbohydrate craving - Docherty JP, Sack DA, Roffman M, Finch M, Komorowski JR., J Psychiatr Pract. 2005 Sep;11(5):302-14.